Welcome to the Windermere Florida Homes for Sale Showcase. Sterling Chase Realty features Windermere as one of the top ten places to live in Central Florida. Here you can Find Windermere Homes For Sale. 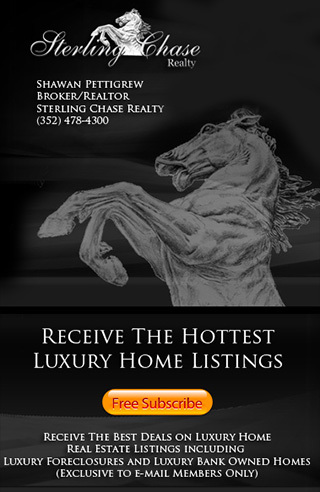 Search Windermere Real Estate Listings, Windermere Luxury Homes, Windermere Gated Homes, Windermere Mansions, Windermere Multi Million Dollar Homes & more! If you have questions about Windermere or would like to know more about buying a home in Windermere please call us at (352) 478-4300.